Back in November, I was in Austin, Texas with Uncle Cliff Nelson. We went to see Portugal The Man during a taping of the PBS music concert TV Show, Austin City Limits. 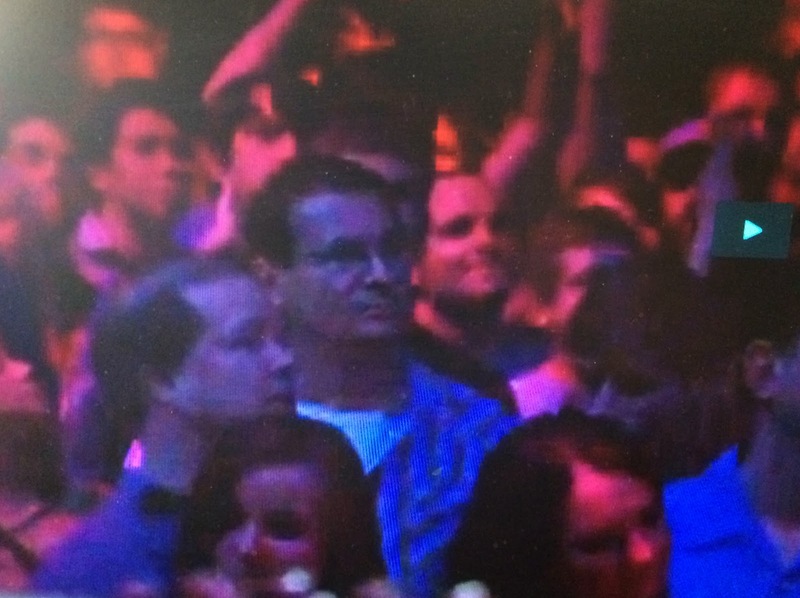 Our episode is showing on the air in Minnesota on February 2nd and can be seen on their website here: http://video.klru.tv/video/2365157779/ Uncle Cliff and I can be seen on the program at the 25 minute 24 second point. Here's a screen shot I took. I've never felt so famous in my entire life! 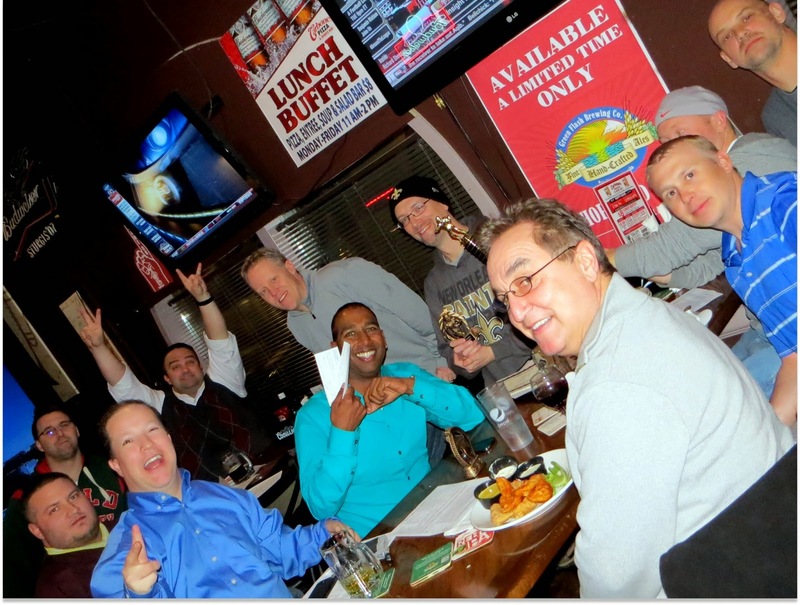 On Monday night, I joined my old Nor-Tech co-workers for the Steve "Cuds" Cuddihy Fantasy Football Awards ceremony. It was good seeing the old gang. I was a little sad because I didn't win any awards this year. My team had Adrian Peterson, Alfred Morris, and Frank Gore, but that just didn't cut it. Aaron Rodgers got hurt for most of the season which killed my chances. Dang Packers. On Saturday night, we had our friends, The Walters Family, over for pizza and a dip in the hot tub. They are transplants from Florida so convincing them to put on their swimsuits and go outside when the temperature was near zero was a bit of a challenge. Jen got it in her head that our spa was like the one from the movie Hot Tub Time Machine and if we went in it we'd be transferred back to a party in the eighties. I just went along with it so we could get them in the water. I told the boys I was going to put this picture on Facebook and this was their reaction. The kids were the first ones in the tub. When we were sure they weren't getting frost bite, we decided it was safe enough for the adults to give it a try. It's nice to be able to use the kids this way. Despite the fact that it was pretty cold and we were still somewhat wet, Jen and I thought it would be fun to have Miss Sheri take our pictures while standing in the snow. It was fun until Miss Sheri thought it would be cool to throw snow at us. We decided to go inside pretty quickly after that.